Nestled in the historic zone of Aljezur, this cosy holiday cottage has been renovated to a high standard with with panoramic views of Aljezur and Monchique mountains. It is only a few minutes' walk from all amenities, such as cafes, restaurants, bakery, museums, shops, laundrette and veggie & fish market. 10 min. 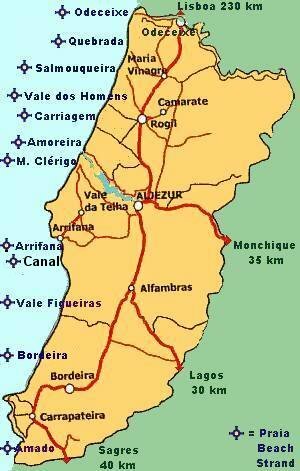 by car to the beaches of Amoreira, Arrifana and Monté Clérigo. Pricelist per week for 5 pers.